In 2004, Counsilman-Hunsaker was commissioned to evaluate the overall condition of the pool at City Club, which was facing physical obsolescence and in need of major repairs. After performing a Facility Audit, Counsilman-Hunsaker developed a modern aquatic design, and provided conceptual solutions of how the pool could be enhanced while offering more recreation and programming spaces. 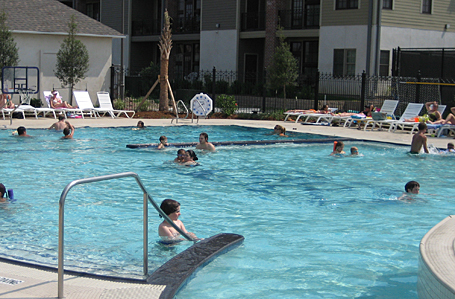 The existing outdoor pool was replaced with a family- friendly leisure pool for all to enjoy.